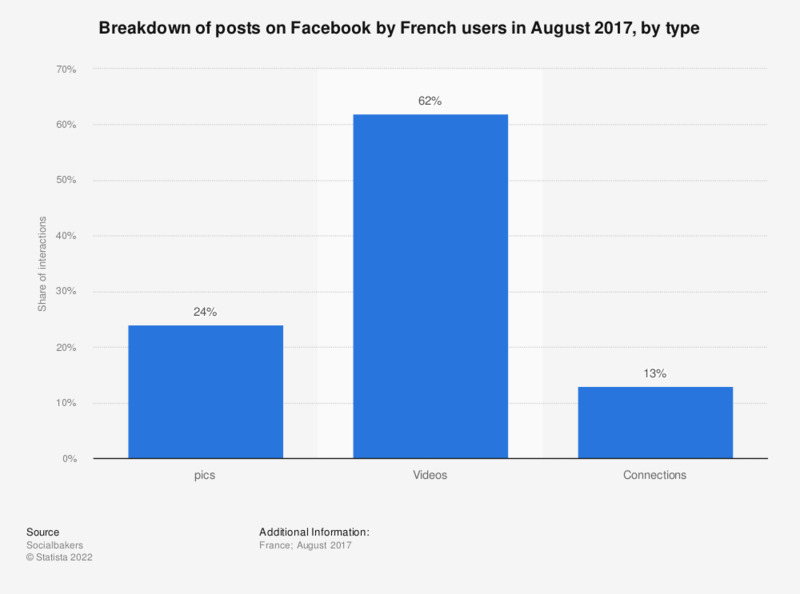 This statistic represents the distribution of Facebook user publications in France in August 2017, by type. That year, 24% of user posts were for photos. Do you think that social networks use your data to send you personalized advertising messages?